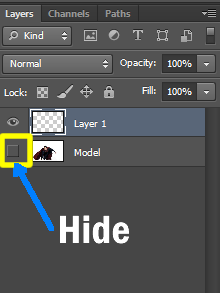 Create a new layer [Ctrl + Shift + Alt + N] and Hide “Model” layer. Now focus on newly create layer.We are going to create our own custom brush. 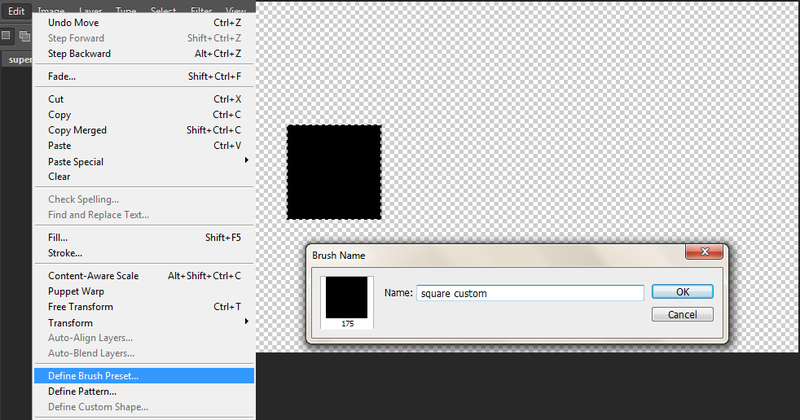 So first select “Rectangular Marquee Tool” and then hold “Shift” while creating a square selection. 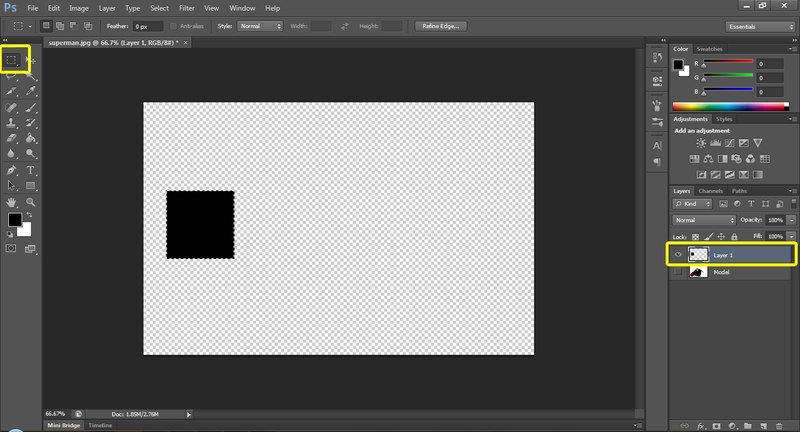 Then press “D” to set colors to default value and the press “Alt + Backspace” to fill square selection with black. 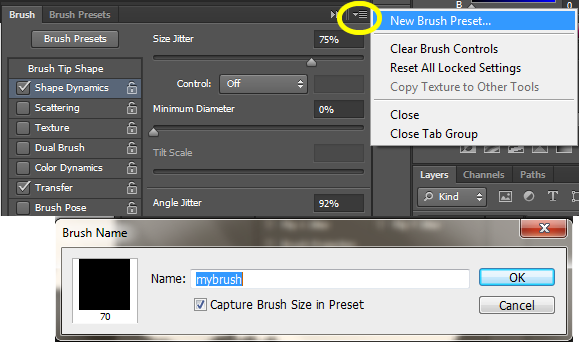 Then go to”Edit → Define Brush Preset” and name your new brush. 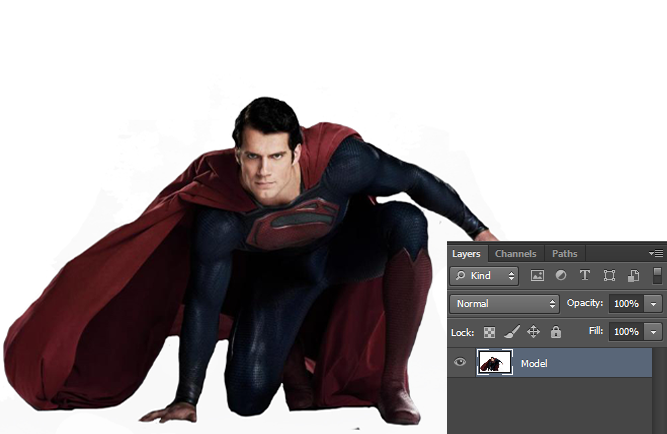 Now delete that layer and Unhide “Model” layer.Now you have only have layer with image. 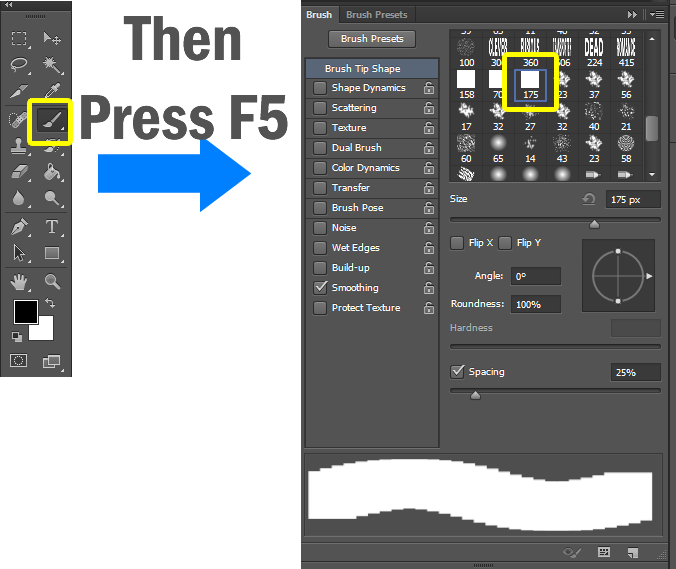 Select “Brush Tool” and then “Brush Palette [F5]“.And find your newly created brush. And save your new preset by clicking a small arrow on top right corner of Brush Palette and name your new brush preset and we are going to use this brush to create explosion effect. Now back to our image. Create a new layer [Ctrl + Shift + Alt + N] above “Model” and name it as “Explod“. Focus on “Explod” layer and select “Clone Stamp Tool [S]“. From the Brush Presets palette choose the pixel explosion brush we created in the previous steps. 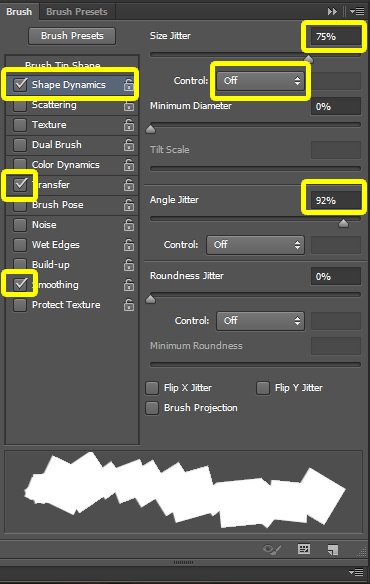 Change its size as you like and set “Opacity-100%” and “Sample” option to “Current & Below“. And then “Alt-Click” on the image part to take sample to clone and start cloning on white background by simply holding the mouse button and draw as you would with a regular brush. 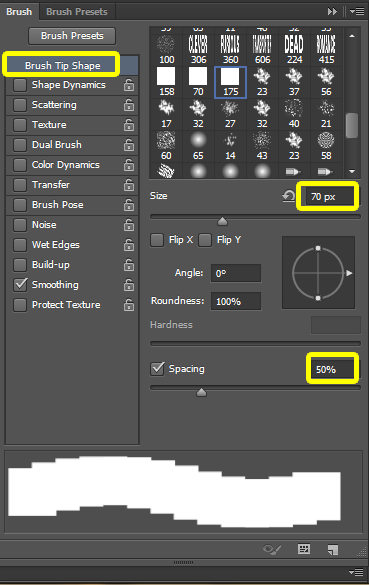 Lower or increase the size of the brush to add more randomness in brush size and clone right part of the image and you will get something similar to below one. Now focus on “Model” layer. 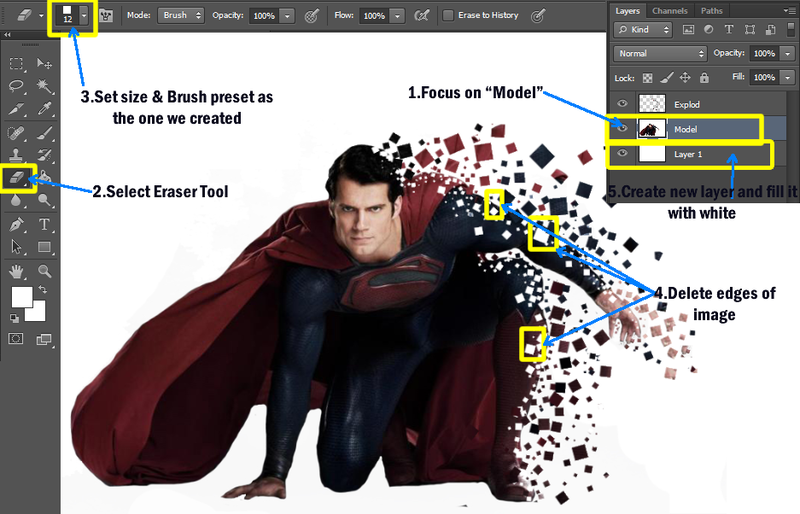 Select “Eraser Tool [E]” and select the eraser brush preset as the brush preset we created. And then start to erase right edges of the image with different size of erasers. 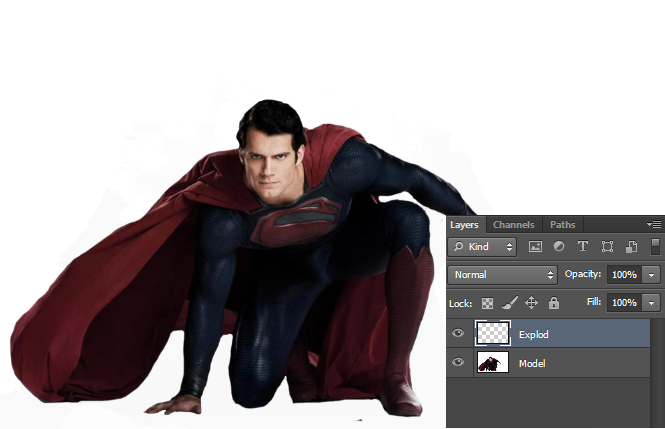 Now create a new layer below “Model” and fill it with white color ,same as image background color. 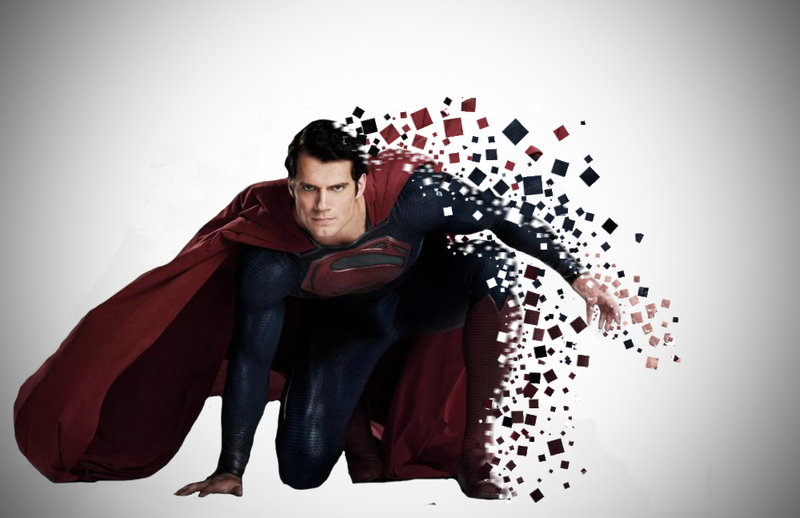 With the help of “Lasso Tool” select the right edges of image.If the edges are not connected hold “Shift” while selecting. Now we are going to give some blur effect to selected region. So go to “Filter → Blur → Motion Blur“.And set the value like below. Now we are going to give a final touch up to our image. First remove the selection by pressing “Ctrl + D“. And then “Merge” layers “Model” and the white background layer below.it. [To merge two layers “Ctrl + Click” each layer and then right click → Merge Layers] After merging go to “Filter → Lens Correction” or press “Shift + Ctrl + R“. 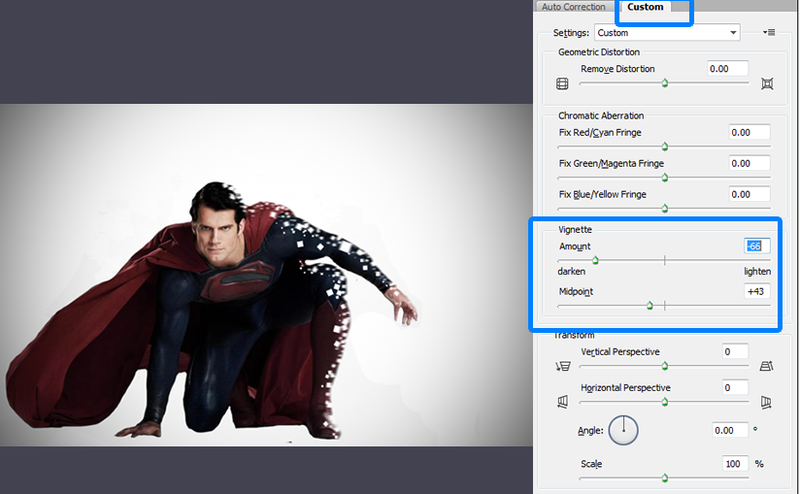 And set “Vignette” values like below and you wil get black shades in your white background.